How to break a world record… This summer! Nearly 10 years ago, I was one of thousands of Joneses who held the coveted record of being in the largest gathering of people with the surname! I believe another group of people broke our record… So next weekend I have the chance to break a similar, but different, record…. I could be part of the largest gathering of people dressed as elephants!!! As a family, we’re elephant-mad, ever since my other half and I saw them in the wild in Sri Lanka… I think every room in our house has an elephant in so I don’t need much persuading to join a gathering of them! Rules: you must be dressed head to toe as an elephant. There are strict rules about the costume eligibility: check them here before you attend! The story behind 2wishuponastar is incredibly sad… The founder lost her son, then her husband… And set up the charity to improve bereavement services in hospitals across Wales. So as well as the chance to dress like an elephant, you get to (hopefully!) break a world record and raise awareness of a great charity – see you there! Disclosure: I wasn’t paid to write this, I wrote it for free as I think it’s a great event and great charity! Author yummybloggerPosted on July 31, 2016 Categories cardiff, randomLeave a comment on How to break a world record… This summer! A week past my due date, at 41 wks I had my 3rd sweep. I was getting the odd contraction which I’d had for a few days. By late afternoon/early evening they were getting more intense so we sent toddler W off to his nan’s and I got in the bath for a bit. 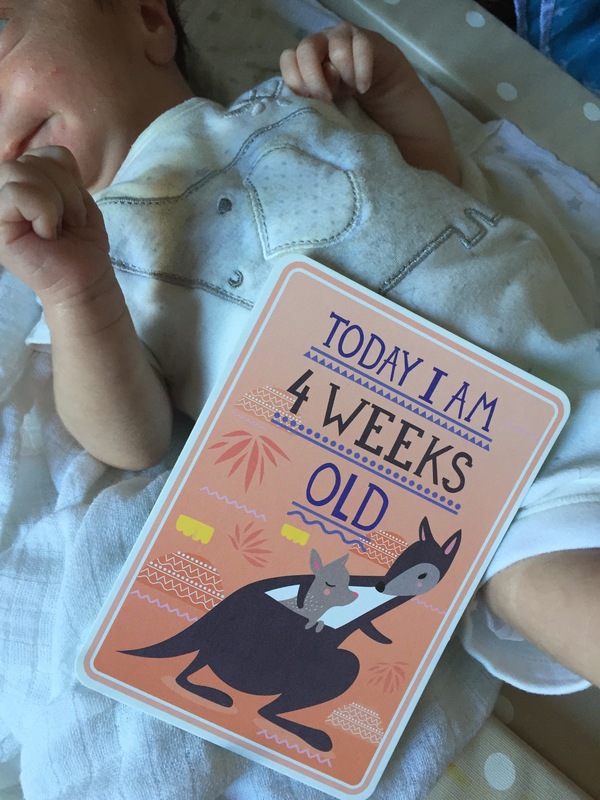 Even though it was my second, because W was induced I really didn’t know what to expect at home – while in the bath, through contractions, I was reading baby books on when you should go into hospital – I didn’t want to go too late but didn’t want to go too early and get sent home! All this time I was just trying to breathe through the contractions, plus trying to stay relaxed and think of tropical peaceful beaches! I put the TENS on for the car journey, and luckily as it was early evening the traffic was light and I only had one contraction in the car! At some point a doctor came in and noted how ‘serene’ it was in the room.. I remember at that point, I had zoned out a bit… Like they say animals want peace and quiet in labour, I think I was going through a similar stage! Just 30-40 minutes after arriving in hospital, it wasn’t long before I had the urge to push… 3 or 4 pushes and he was out! We got to the hospital at 8pm and baby S was born at 9.02pm, weighing in at 7lb. Honestly can’t believe how quick it was! I hadn’t torn this time but while the midwife was doing the agpar tests, I remember feeling so woozy, and I was still getting painful contractions. She got the doctor in and between them they removed some blood clots from my womb which is what was causing the pain. My OH said this was worse to see than the birth or placenta!! Because of these clots I lost over 1.5litres of blood, so was on iron straight away (even though they should have waited 3 days apparently) and hooked up to a hormone for 4 hours (can’t remember why!) in the recovery ward. S hadn’t latched straight away like W did, and he cried a fair bit but also slept a fair bit. We moved down to the main ward about 6am where we chilled out for the day. A couple of times they helped me get him to latch and we also gave him colostrum via a syringe. Baby S is 1 month old! 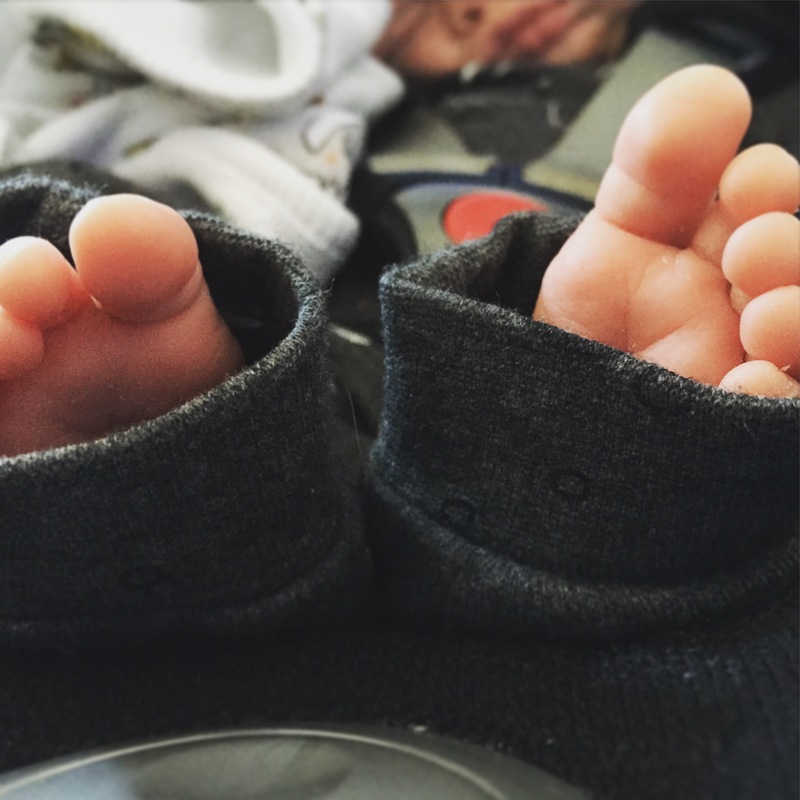 S turns a month old today… Unbelievable! I know we always say that time goes quickly but honestly, he still feels like a little newborn as he suffered from quite a big weight loss and we’ve been catching up since! As I said in our last update, S struggled with latching and feeding in his first couple of weeks so lost quite a bit of weight. By his 3rd week update he was over his birth weight (at 7lb 3) which was great news! A week on and I hope he’s getting close to the 8lb mark. I’ll write about our breastfeeding struggles separately but S is currently 100% bottle fed. Most of that is formula but one bottle a day is expressed breast milk. Because of the weight issue we took a feeding on demand approach, he’s a bit of a grazer so lots of little feeds but just the last few days he’s started being able to take about 4oz/120ml in one feed so starting today I’m gonna try keeping track of how much he had etc! Routine – sleep or lack thereof! At night he sleeps in his Sleepyhead and in the day I’m getting him to sleep in his bouncer, so he starts differentiating day and night. He’s generally pretty chilled out at the mo, when he’s awake he loves nosing around and only cries if he has wind or is over-tired. Quite often he’ll only fall asleep on me with me patting his back and then I transfer him to the bouncer/sleepyhead. At night I try not to let him sleep on me as I’m so tired I worry about falling asleep too, so he uses a dummy occasionally if he’s struggling to settle. I’d love to share some photos with you but as I keep my boys off my blog you’ll have to make do with this one of his big mop of gorgeous hair! We’ve had a couple of family trips.. One to our local shopping outlet where we take W for a play and wagamamas! And last weekend we finally checked out Cardiff museum which W loved and S slept through. Oh we also went to cafe junior so W could get his hair cut and have a run around. I had my first ‘night out’ on Friday… 4 beers with an old friend… Any more and I would have been rough on Saturday! My OH has done the night feeds every Friday night which has been great for letting me catch up with sleep and building up sleep reserves for the other 6 nights! 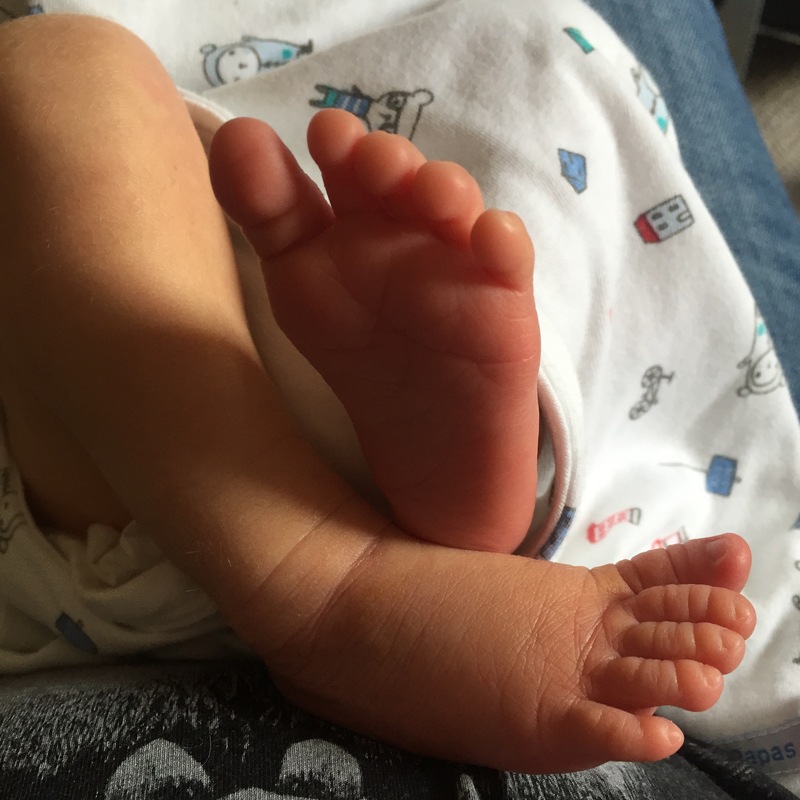 That’s it for now, gotta go and have some more newborn cuddles now 🙂 On the one hand I’m wishing away time so we can have more sleep, on the other I’m trying to cherish these moments of funny noises and stretches… And the cwtches! 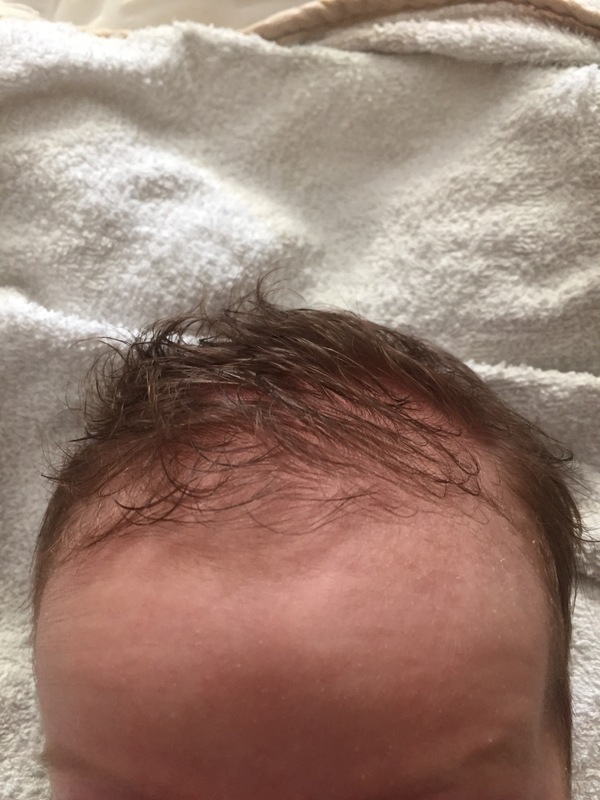 Author yummybloggerPosted on July 21, 2016 July 21, 2016 Categories my regular updates, parenting1 Comment on Baby S is 1 month old! 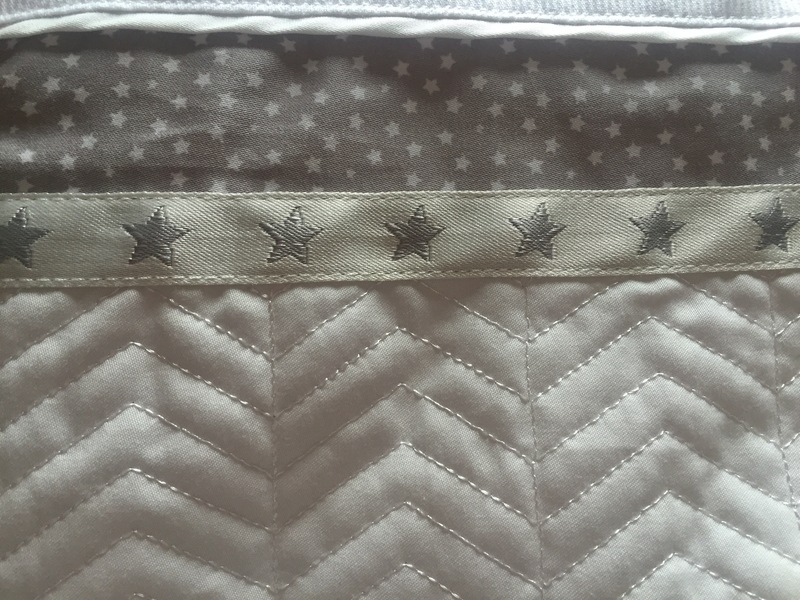 We’d fancied a Silver Cross pram before W was born, they’re a well-established, high quality British brand… But I never knew they made other products like bedding…. 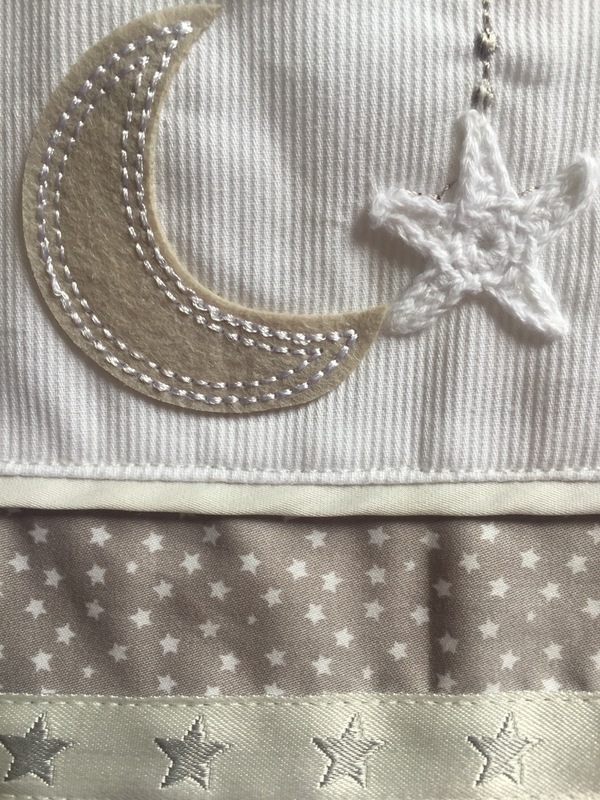 I was kindly sent a Silver Cross sleepsuit/sleeping bag for baby S from their new ‘to the moon and back’ range. It will still be a good few weeks til baby S can use it as the minimum weight is 8lb 8oz and he’s probably about a pound away from that at the moment! I’ll do a proper review once he’s using it but I wanted to let you know about it sooner rather than later so you can check it out on the Silver Cross website. 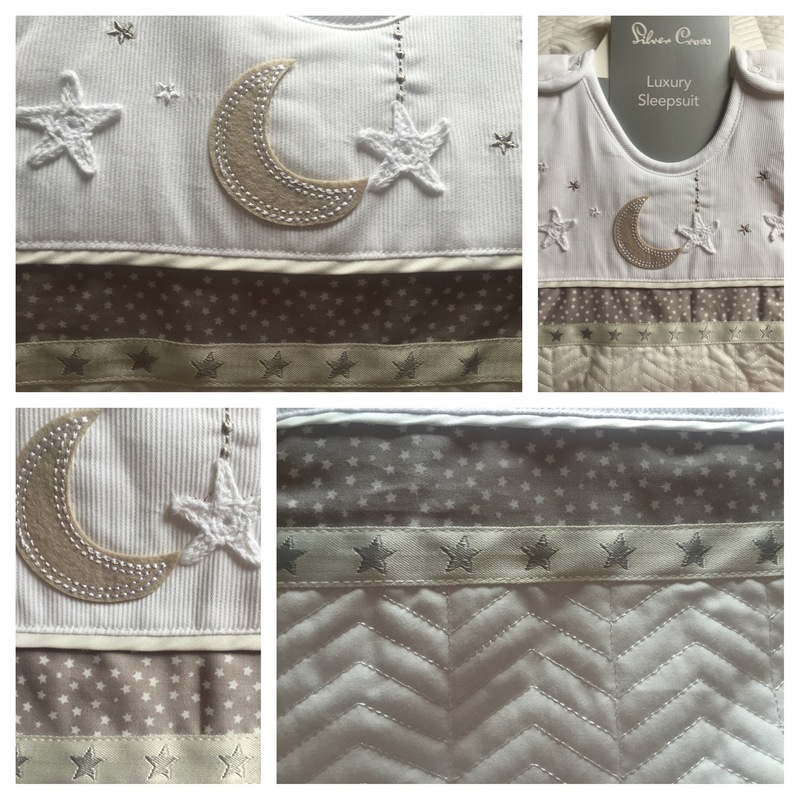 As per the name of the range, the design features a moon and lots of stars… Lovely neutral colours which would suit any nursery and any girl or boy! 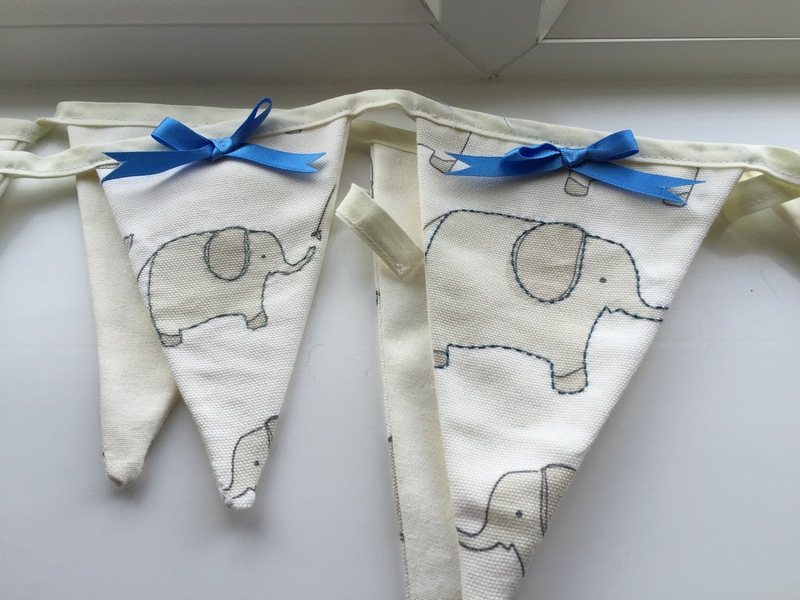 It’s worth checking out, especially if you’re getting a nursery ready for a baby or looking for nice gifts… Like I said, very neutral and gender-neutral and perfect for little dreamers! If the quality of the sleepsuit is anything to go by, I’m sure the rest of the range is just as high quality! I’ll be back to do a full review (will be interesting to see how it comes out after a wash!) in a few weeks so enjoy browsing until then! Disclosure: I was sent this sleeping bag in exchange for a review but as always opinions are my own! 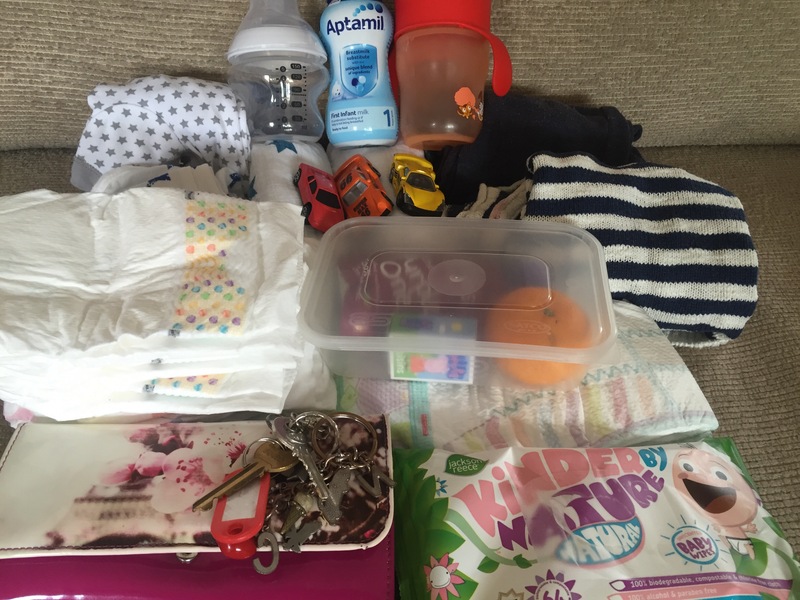 You might have noticed our lovely new changing bag in my hospital bag post… We used it for baby S’s first clothes, nappies etc in hospital…. 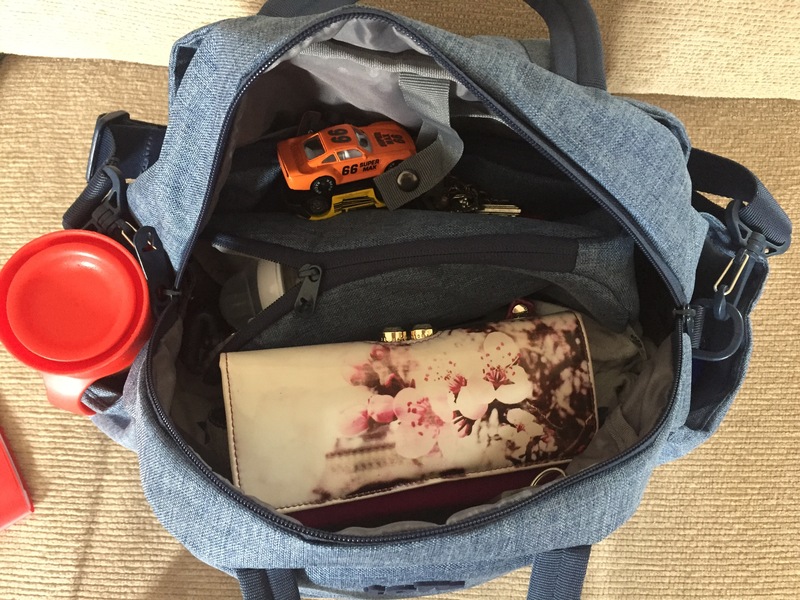 Is this the best changing bag ever?! It’s like a tardis – doesn’t look overly big from the outside but it’s really roomy on the inside! 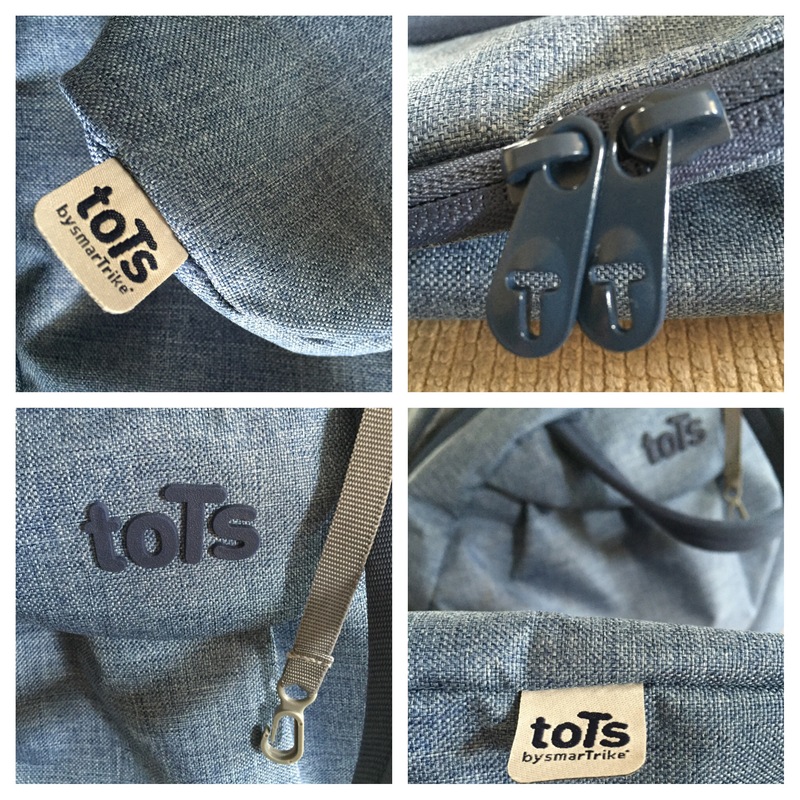 It has 4 strap options – the small handle on top, pram straps, shoulder strap for carrying/hanging on pram and the very handy rucksack option! I love the design and choice of plain/neutral colours… I don’t think it’s overly feminine which is handy for when daddy is using it! 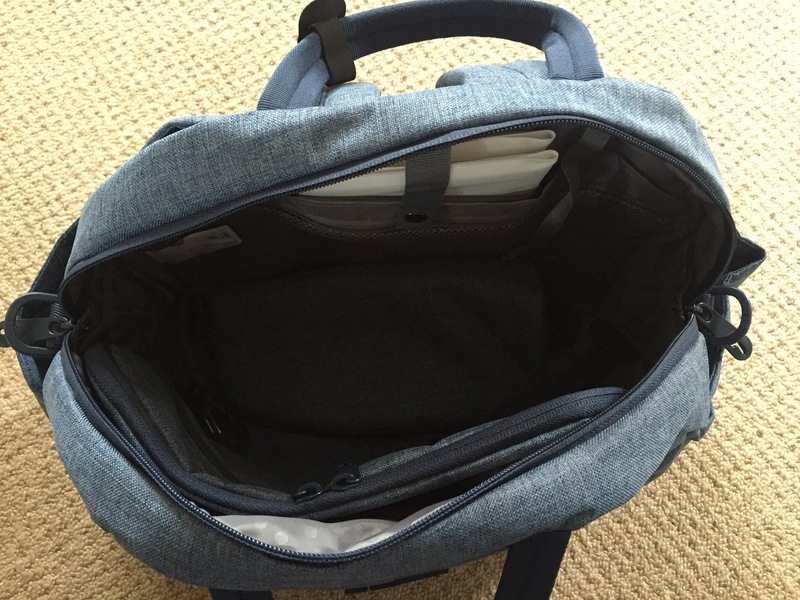 Is this the most spacious changing bag ever?! will it all fit into the Tots changing bag?! 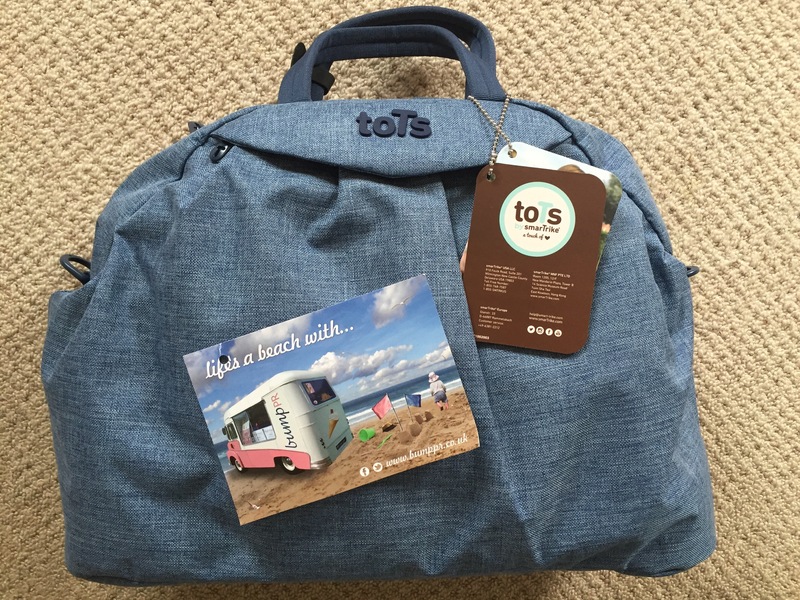 bags of room in the Tots bag! 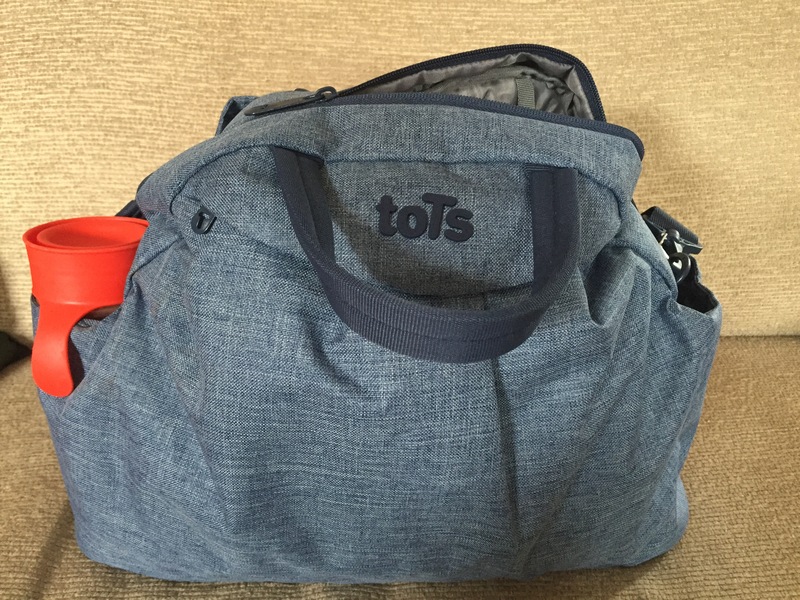 our Tots by SmarTrike bag ready to go! 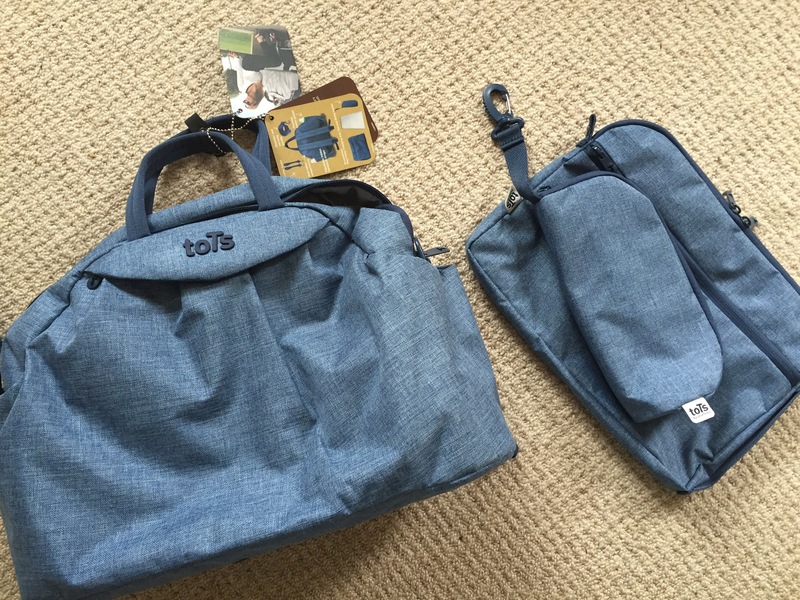 I’ve only got a very small Next bag to compare it to, but this Tots by SmarTrike bag smashes that one out of the park! I can’t think of anything negative to say about this toTs by SmarTrike bag although I don’t have any other premium ones to compare it to. It smashes my cheap, little Next one out of the park! What do you guys think of it? Disclaimer: I was given this bag in exchange for a review, but as always all opinions are my own! First 10 days of being a family of four! S struggled to latch in hospital, and when we brought him home on day 2 we all had the worst night’s sleep… He wouldn’t latch, wouldn’t sleep and screamed a lot! By day 4 he had lost 10% of his weight, by day 6 he was back up to -6%, but by day 8 he was back to -10% and today (day 10) he’s still at -10%. I took him to a breastfeeding support clinic this afternoon and basically I need to pump a bit more, give him another expressed bottle feed and we’ll see where he’s at on Sunday! I know his latch still isn’t 100%, he still gets frustrated at times when he’s trying. On the plus side he’s taken to bottles well which can always be a battle when you’re breastfeeding! Obviously newborns are renowned for not having a routine, but we’ve had some good days and nights where he’ll sleep for 2-3 hours, feed, settle back down easily for a sleep. But then we’ve had other days where he’s cluster feeding and will only sleep on a human being! Despite the feeding ‘issues’ he’s quite content, just this morning I took him out to the garden and he was looking around taking everything in, no tears or screams! I’m feeling ok, just tired as you’d expect from a mum to a newborn! His feeding plan and the terrible rainy weather have given me the perfect excuse not to leave the house (apart from last week’s vote and today’s BF group!) which was one of the things I wanted to do more of with baby 2... Just chill out! Been watching lots of cr&p TV and films! My bump has pretty much disappeared (see… Some of my breastfeeding efforts must be working!) and I’m pretty much back to my pre-baby weight of 8lb. 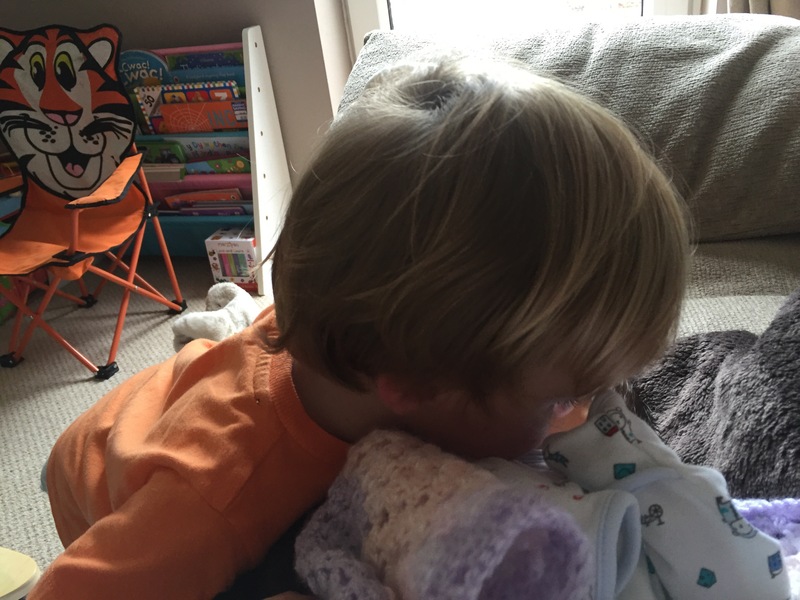 Toddler W – big brother! You might remember that I was a bit worried about how toddler W would take to his younger brother and we prepared him for it as much as we could, well we needn’t have worried! Thankfully we had decided to leave him with the childminder on my work days (m-th) and I think this has given him the attention he needs, and the chance to burn off all his energy. Then, when he comes home he comes running in asking for ‘baby kiss’… It’s the cutest thing! One thing I’ve found really weird is how big and heavy W now seems! I don’t know if S’s birth co-incided with a growth spurt for W or if it’s just cos I’m holding S so much but honestly… W seems huge!! Did you find this with your first born?! After our first crazy night at home, I decided that S and I would sleep in the living room so that my OH could sleep well most nights. This means he then had the energy to help out with everything from playing with W, feeding me, housework etc…. He’s been a star! Author yummybloggerPosted on July 1, 2016 July 4, 2016 Categories breastfeeding, my regular updates, parenting12 Comments on First 10 days of being a family of four!